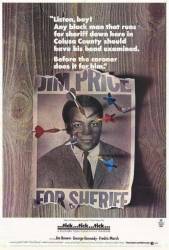 Plot hole: At the end of the movie, the sheriff is going home and gives his deputy and the mayor a ride home. They pass over a bridge with a sign that says 'Leaving Colusa County'. Surely they don't live outside the county? Jimmy Price: What's going on back there?